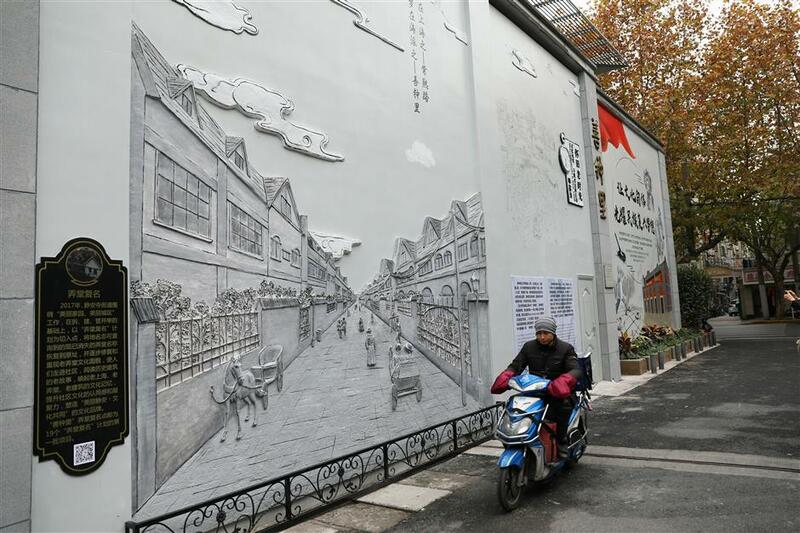 Jing'an District is among Shanghai's urban areas that is pioneering the restoration of the names of longtang, or alleys, in an effort to revive memories of old Shanghai. Shanzhongli is among the 19 old residential complexes that will have their historical names restored. 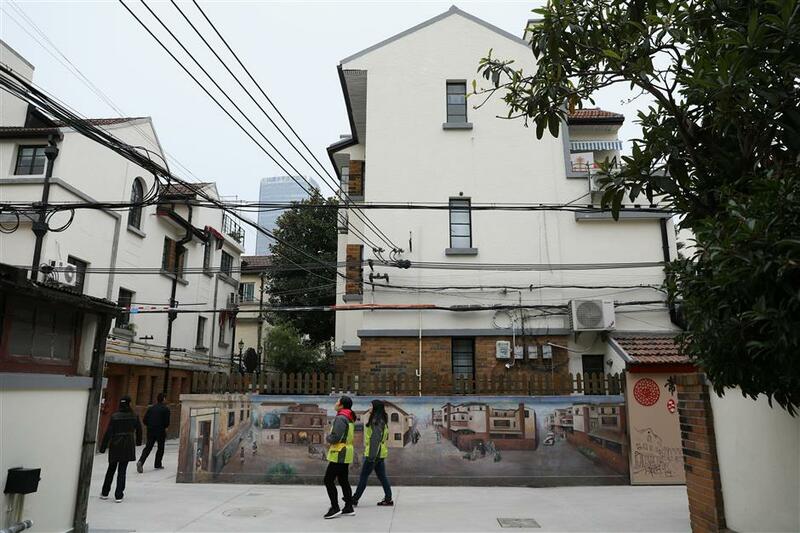 Jing’an District is among Shanghai's urban areas that is pioneering the restoration of the names of longtang, or alleys, in an effort to revive memories of old Shanghai. Many of the old names of streets and longtang neighborhoods had been changed, eroding memories of the city’s past. Jing’an District has several historical sites. Shanzhongli, or Say Zoong Terrace, will be among the 19 old residential complexes in the district that will have their historical names restored. “We haven’t been calling it Shanzhongli over the years, and young residents don’t even know that name. 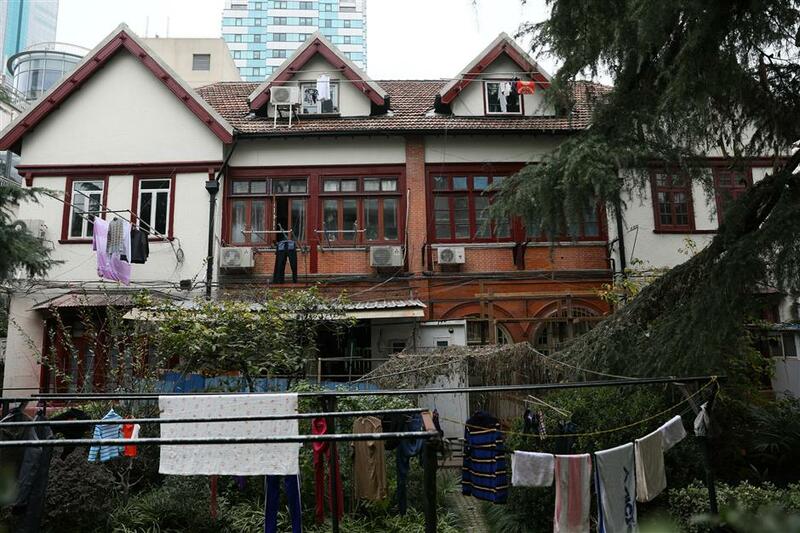 They call it 113 Changshu Road,” said Cao Huilin, a neighborhood official. A resident’s old photograph of the neighborhood’s past has been replicated on a large wall of the neighborhood’s entrance. “It's like our old residents telling a story about Shanzhongli to the new residents,” Cao said. Shanzhongli, which has 25 English-style garden townhouses, was built in 1930 along the Say Zoong Route, presently named Changshu Road. The city government placed Shanzhongli on its list of heritage buildings in 1999. It had been the only road in the former French Concession that was named after a Chinese. Say Zoong is a French transliteration for Shanzhong, a pseudonym of the late Tao Ruzeng, a property tycoon. The former residences of renowned generals Jiang Guangnai, Dai Ji and Feng Zhi’an were located on Say Zoong Route. The 19 old residential complexes include Xianlin Villa at 470 Yuyuan Road and Rong’anfang at 496 Huashan Road. Some years ago, Shanghai began its overhaul of cultural venues that had fallen into disuse and disrepair. One of these venues is the cultural activity venue in the Yuhua Xincun neighborhood. Located in a three-floor historical villa that was donated to the city by an elderly woman before her death, the venue is a cultural space for residents to participate in activities such as playing board games, reading books, and watching puppet shows. Cultural relics in Shanzhongli have also been preserved. This year, an additional 20 historical sites across the district are being given a new lease of life. Li Jingjing, co-founder of the Oriental Danology Institute, is behind the project. A veteran marketer of luxury goods, Li now uses her years of experience and expertise to raise awareness about the community’s cultural roots and shared experiences. “What we all have deep in our hearts can easily touch others. And we just need to use a new way to enliven it,” she said.